This New Tempesta Cosmopolitan 100 shower set is a complete kit, consisting of a hand shower, a 600mm shower rail and 1750mm hose. The shower head features a rain spray function with the feeling of an invigorating rain shower. GROHE DreamSpray® technology delivers precision and consistent water distribution to each individual nozzle. 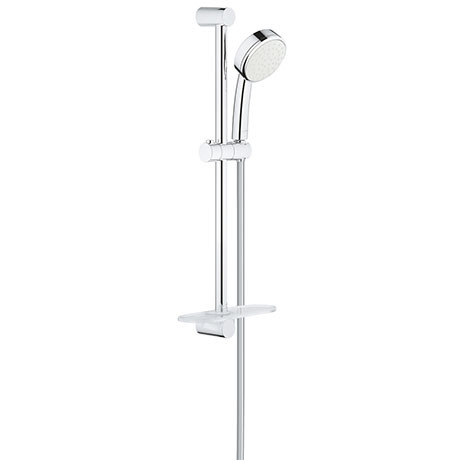 The shower head is finished with the maintenance friendly, shiny GROHE StarLight® chrome coating.